Fort Velasco | Texas independence started here. Our awards ceremony June 24 was a success. Click here to read the story The Facts published about us. Anne Whistler baked a beautiful (and delicious) Battle of Velasco cake, and Nancy Fershour contributed these photos from our event. 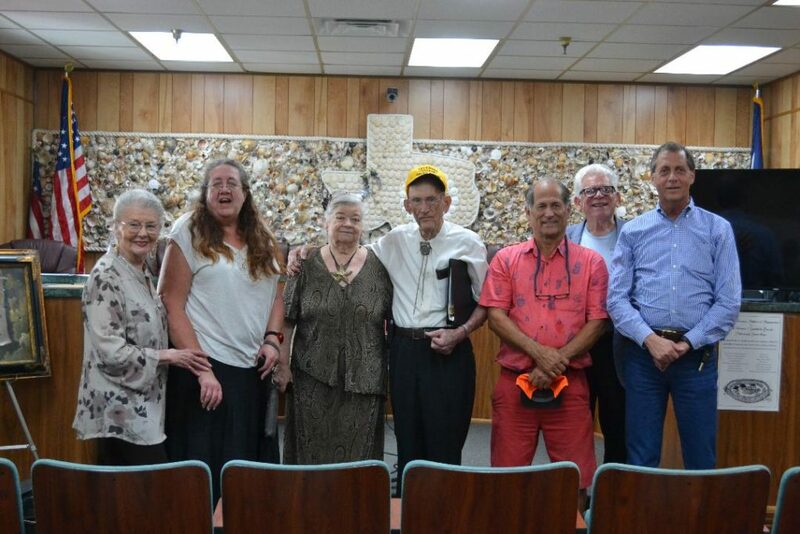 The Old Velasco/Surfside Beach Historical Committee is a non-profit group in Brazoria County whose purpose is to inform the public of the historical significance of southern Brazoria County in the roots of Texas history. One of this group’s current projects is to build a replica of Fort Velasco at Surfside Beach (formerly called “Velasco”). The original site was near the present location of Surfside Beach Village Hall on Monument Drive. We shall hold a fundraising dinner at 6:00 pm, Saturday, 27 October 2018, at Stahlman Park in Surfside Beach. We shall display items that vendors donate during this dinner and offer them as door prizes or as items in noisy and silent auctions during the dinner. 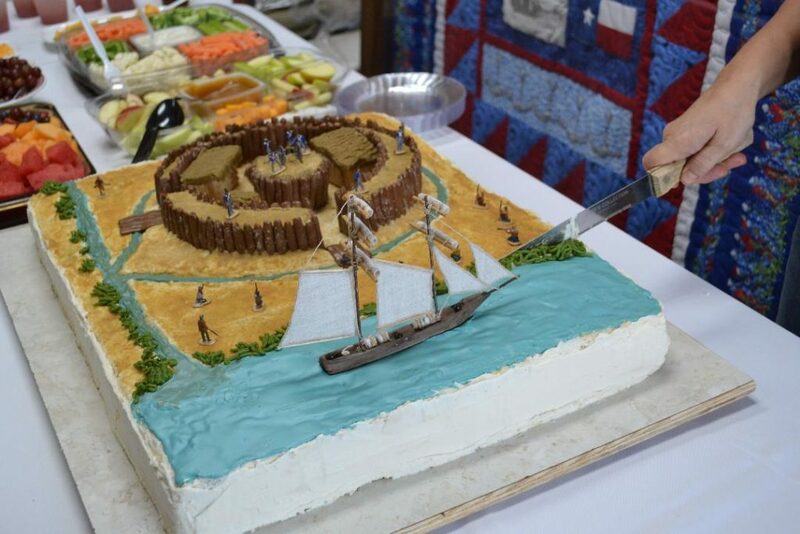 All proceeds of the dinner and the events of the Thunder on the Brazos activities will go towards the construction of the replica of the Old Fort Velasco, which is planned to be placed near Village Hall. TO JOIN THE OLD FORT VELASCO HISTORICAL ASSOCIATION (OFVHA), fill out an application, and submit it with your dues. Membership in the OFVHA will give you the knowledge that you helped rebuild Fort Velasco. If you are one of the next twelve lifetime members, you will receive a rare Fort Velasco medallion from the 1970s. All members, regardless of membership level, will receive a Fort Velasco T-shirt.